Me, I only lived there 5 months, but that red dirt is in my soul and I ache to go back always. 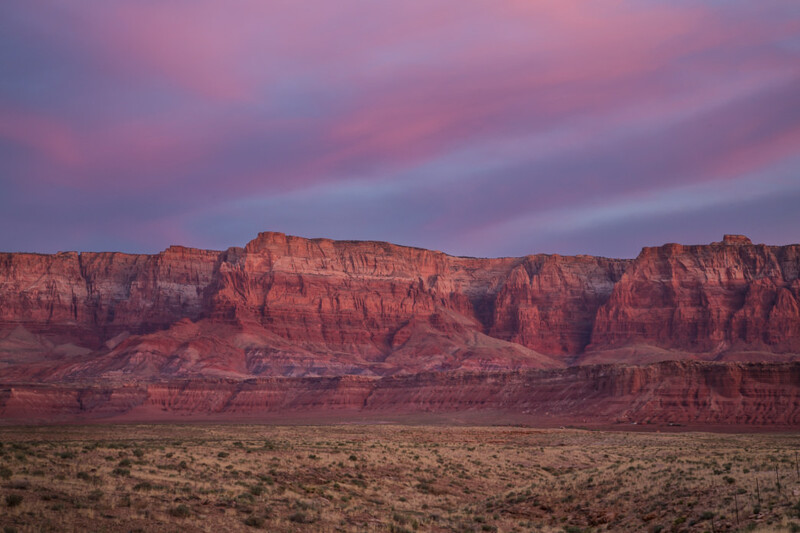 Kanab is a special place, not only because it is so beautiful, but because of its isolation. It's the largest town for almost 100 miles in any direction, with no interstate highways, so it is a world in its own. Lonely and isolated, but stunning. Being already in love with the scenery, and you can tell Zane Grey was, too. 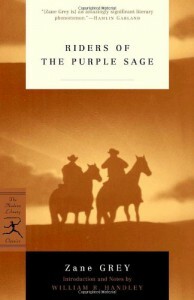 He describes the landscape in a way that brings it to life... well, except for the frequent odd use of the word "purple." Now, to me, these cliffs look red. The official description is "vermillion", but if you substituted the word "purple" for them, you wouldn't be far off. Hence, all the references to purple in the story. 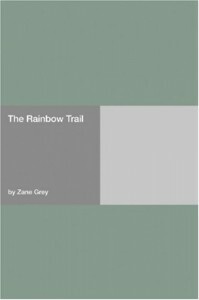 Legend is that Zane Grey stayed in the Kanab Grand Hotel (now called Purple Sage Inn, naturally) while he was writing this. So I've been wanting to read this for years. Now I have. So, was the story any good? It's hard to tell. The story was interesting and compelling. The characters now seem like stock characters spouting hackneyed phrases that are all really tropey, but I get the impression that this is just 100+ years of this novel reverberating through the culture, and that this is the original. It's like reading Sherlock Holmes (or Dashiell Hammett, but I haven't read his stuff yet), and trying to untangle the action from its cultural ubiquity. The other hard part for me to read was that Grey casts the Mormons as bad guys in the novel. Being a Mormon myself, I take some offense to that, but I know enough of our history to know that Grey is pretty close to the truth. After being heavily persecuted and fleeing several places in the midwest in the 1830s and 40s, the Mormons created their own civilization in the badlands of Utah, and were just as unkind, devious, and terrible to any non-Mormon interlopers in their settlements as they were east of the Rockies. It's a good point of reflection that echoes Ghost Hawk by Cooper and Satanic Verses by Rushdie, both of which I've read in the last few months-- how an oppressed minority can turn around and be even worse once oppressors once they gain a majority. I'm sure this has applicability in our current politics, but I'm so sick of how the world is right now, I don't want to think about this too much. Anyways, I'm glad I read this. Now I want to go back to Kanab again. Maybe permanently. Honey, I shrunk the grad students! 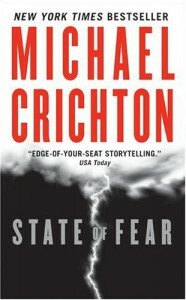 I was hesitant going into this, as I think that State of Fear completely destroyed my admiration for Crichton. This one got off to a rocky start. So, apparently this book was mostly finished before Crichton died (from cancer, or from a secret government micro assassin-bot? you decide!). I don't know anything about Richard Preston, but this book seemed more like a slasher film than many of Crichton's, so maybe I'll point to that as Preston's influence. For the most part, I'm just going to assume the ideas were Crichton's and go from there. 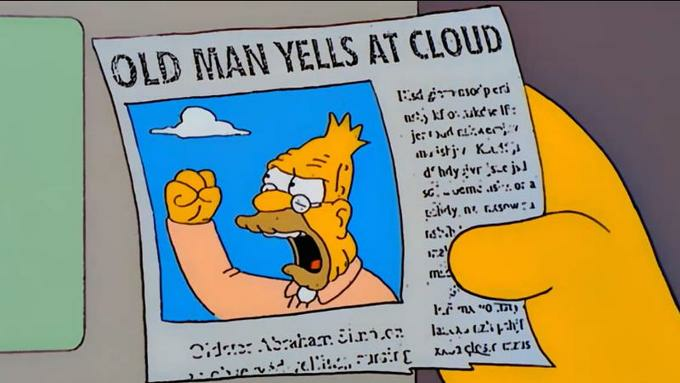 First, the book started with an introduction that took a leaf from State of Fear and was Old-Man-Yells-at-Cloud-level of anti-environmental. The story took a bit for me to get into. First, it was basically Honey, I Shrunk the Kids. Plus, having a lab full of grad students with just the right specialties for what they needed later in the story stretched the limits of plausibility. Then, the mad scientist putting the students in peril instead of just killing them seemed rather implausible, too. Crichton kills off the main character. What a shocker! At that point, the book opens up and starts feeling less constrained. Anything can happen. I enjoyed the peril, adventure, and stuff from that point on. I'd imagine if Crichton hadn't died (erm. been assassinated by an insect-size killbot), he would have rewritten this into something pretty good. A great, masterfully told, timely book. Supposedly this book was Rushdie's commentary on the Obama years. While it didn't have a lot to do with presidential politics, it certainly brought the feelings of being alive and online 2009-2015. Mostly, though, this was a complexly plotted, intricate story of some fascinating characters in early 21st century America. Reading the back flap, I thought this was going to be some sort of fictionalized Donald Trump, but although there are some really surface similarities between Nero Golden and Donald Trump, I think they aren't important to the story. The part that I think will resonate with me the most is the sad story of D Golden -- not because of his (very 21st century) gender dysphoria, but because of the theme of "Identity" -- D was being asked, forced, etc. to choose an identity-- was he Male or Female, Trans, Pre-op Trans, or some different shade of whatever. In the end, I think Rushdie's message is that we need to love and respect each other, and that labels don't matter. Rushdie saw that in India in the last century -- Once the country was partitioned into Hindu vs Muslim, those divisions became a matter of life and death in places where it didn't matter before (in Shalimar the Clown's Kashmir or Midnight's Children/Golden House's Bombay). Allowing labels to divide us causes further and further division until no-one can see eye to eye with anyone unless they think exactly the same. So maybe, we shouldn't worry so much about whether someone is a republican or a democrat, whether someone is gay or straight, cis or trans, woke or TERF, and stop trying to stick labels onto people who can't/won't/shouldn't be labeled. I dunno. It was a good book 5 stars. 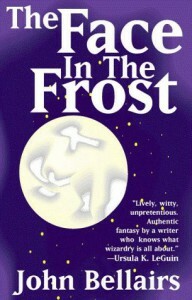 Susan Cooper can do no wrong, and Miles Standish was a jerk. This book wasn't much like my much-beloved Dark Is Rising sequence (seriously, go read that! ), but that's a good thing. Instead, she gives us a gripping historical fiction about a native american boy named Little Hawk who grew up just as the Plymouth Colony was being founded. Not a spoiler: this book doesn't turn out like your typical Kindergarten Thanksgiving pageant. Anyway, I loved this book. 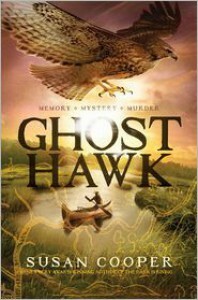 It was much more "Hawk" than "Ghost", in that I was expecting some sort of spooky story, and it wasn't spooky, just touching. Hawk and his counterpart John Wakeley lead interesting lives. It's a mark of good fiction that I could totally imagine myself born into either characters' circumstance and making their choices. It was interesting reading this book after Salman Rushdie's Satanic Verses. Obvs there is nothing in common, but Rushdie's main thesis was about watching groups or ideologies and how they behave when they are oppressed, and how they behave when they are majorities. I remember being in Kindergarten or First Grade and having the teacher trying really hard to define the word "irony" and talk about how the Pilgrims, who were so persecuted in England (and Holland!) for their religion were so intolerant of others' beliefs. I don't think I understood it then. I sure do now. In fact this book kinda depressed me. Also, my favorite holiday is Thanksgiving, and I think having read this book is going to put a damper on my enthusiasm for celebrating future Thanksgivings. So this was one of the least enjoyable Michael Crichton books out there. All about genetics, genetically modifying organisms, gene editing, gene therapy, etcetera. Crichton comes off kinda heavy handed and preachy in this one. 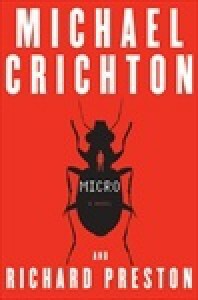 Although I enjoyed learning a lot about genetics (see, that's what you get from reading Crichton-- you learn about stuff without realizing it), the story was really fragmented. It's like the author had lots of okay ideas about stories involving genetics, but no real good ideas, so he just mixed them all together. One thing this book suffered from is lack of any real good guys. Nearly every character was slimy, underhanded, despicable, or weak in some way. 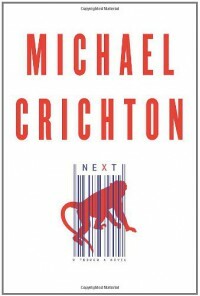 Part of me wonders if this is a deliberate way for Crichton to get his readers to involuntarily dislike genetic engineering, but based on his diatribes (spelled out awfully clearly in-text, and even more deliberately in the afterword), he's not opposed to genetic engineering, and in fact, thinks it's the wave of the future. Anyway, some of the sci-fi stuff was a little out there (a human-chimpanzee hybrid that we're supposed to sympathize with? ), but I guess I shouldn't rag on this book too much. After all, it was a fun, quick read, and I learned stuff. 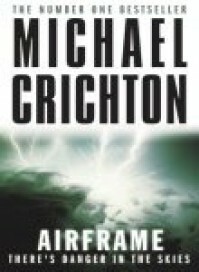 ...but if you're looking for a good Crichton book to start with, this is not it. Instead I'd recommend Sphere, Congo, Jurassic Park, Andromeda Strain, Prey. I've been hesitant to read this one, because I heard that it doesn't quite live up to the legend surrounding it. 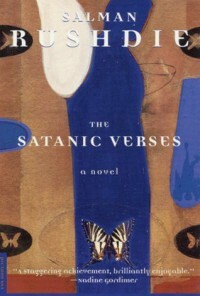 In case you don't remember the hoopla about this book, https://en.wikipedia.org/wiki/The_Satanic_Verses_controversy should get you up to speed. I also read Joseph Anton before I read this, which was really interesting and shows that truth is almost as strange and compelling as fiction. Anyways, in short? No, this doesn't live up to the hype. How could it? 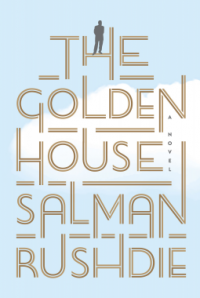 That being said, this is definitely a Major Work and one of Salman Rushdie's better novels. Was it blasphemous? Well, I might be a bit offended if I were a muslim, as it does fictionalize an account of the prophet Muhammad, and gently question him. I could see how it could offend people, but honestly? a death sentence for a non-believer? That's beyond the pale. I am firmly in the camp that nobody can tell the other team what to do or not to do. I drew a stick figure on Draw Muhammed day, too. Je Suis Charlie. Anyway, any ideology that can't take this gentle of a ribbing obviously won't stand up to serious intellectual scrutiny anyways. I've heard Jesus jokes before. I don't repeat them, but I also don't kill those who make them. ...but was the book good? Yeah, it was. A little tough to follow in parts, but great. It had about 6 intertwining sets of characters/storylines, some of which shared names, etc. They didn't come together the way I expected (which was a good thing) and kept me guessing until the end what was going to happen. I love how the book starts out-- with a conversation between two guys falling from an exploding plane at 24,000 feet... It only gets weirder from there. In the end, I think Rushdie's message was about ideas and power. How do the powerless act towards the powerful, and how do they act when the roles are reversed? That's also interesting in light of the book's controversy, as a certain powerful world religion with millions of followers with AK-47s, and their reaction to one (mostly) powerless author is telling. One thing that surprised me about the book, is I expected the Devil to become a major character. There were a few small hints throughout that our characters were being manipulated by some nefarious force, but in the end, it just ended up being their own human faults that drove them onward. Oh-- and a very, very Rushdiesque moment-- there's a character, Alleluia Cone, always described as imposing, cold, maybe icy. ...and then 3/4 of the way through the book, Rushdie calls her "The Icequeen Cone" and I almost fell over laughing... all that setup for a pun. Oh man, I love Rushdie's writing. It works on so many levels, including stupid puns. Also, the novel does a good job of describing the cultural circumstances of contemporary (80s) London. Boy, there was a lot of racism and badness happening. Apparently 80s London was way more "Guns of Brixton" than "Our House". I have a hard time imagining that much racist badness happening in my lifetime, in the era of Princess Di. Guess that's my privilege showing again. Anyway, a great book. 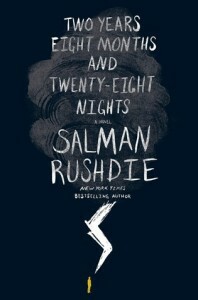 Not Rushdie's best, because he's a fantastic author, but a great book nonetheless. I read this in about 24 hours, so that speaks of how compelling of a read this one is. Somehow I missed this Crichton thriller when it came out. It's a gripping thriller, plus I learned a lot more about aircraft manufacture in 1 day than having a brother work at Boeing for a few years. What makes Crichton books interesting is that he takes you into the minds of experts, and you inadvertently learn a lot about the subject material (dinosaurs, archeology, medicine, what-have-you). This didn't have any really sci-fi technology (we're not bringing dinosaurs to life), but was still super interesting. 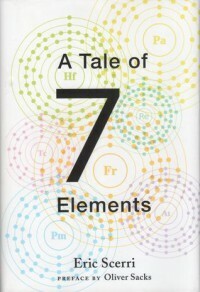 That being said, I don't think this book is one that will stay with me like Sphere, Jurassic Park, or Andromeda Strain. A fun read, though. A very fun kids' book. 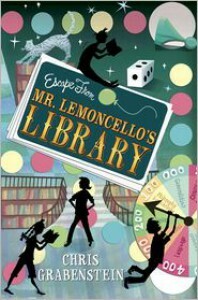 This book knowingly (and even textually) admits a big debt to Charlie and the Chocolate Factory, but if there's room for more than one Willy Wonka in the world, Mr. Lemoncello is a fantastic second. This is the kind of book I've dreamed about writing-- a book-lover's ode to books. There are many of those out there, but it was still nice to read all the references to great kid lit, and know that I've read about 90% of the books referenced. (now to track down the other 10%). This book was fun and silly. The kid characters were a little one-dimensional and not all the way fleshed out, but what can you expect from a kid's book? I'm going to stop overanalyzing it and read some more. You should too. 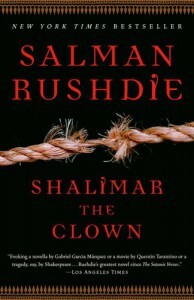 Somehow managing to span continents and worlds in the way that only Rushdie can do, our character Shalimar the Clown manages to learn dying kashmiri folk art, mujahdeen terrorism, how to join a prison gang, and how to drive a deLorean. Complex and interwoven, it manages to break down the boundaries between east and west, between good and evil, between political and personal. Aw heck, read it already. Definitely not as classic as The House with the Clock in its Walls. 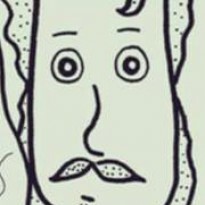 Most jarring was the change of illustrators. Mercer Mayer (!) .... doesn't really come from the same planet that Edward Gorey does. Now don't get me wrong, I love me some Little Monster, and he actually captures the new character Rose Rita pretty darn well. It's just hard for him to be creepy and have me take it seriously. There were some definitely chilling parts to this book, but the general level of peril seemed lower. Also in this book (just like the first), everything could have been solved if Lewis ever actually talked to his Uncle Jonathan... He apparently didn't learn his lesson the first time. Ah well, kid fiction. It was fun and quick, why am I complaining? I swear it wasn't until halfway through reading this that I learned that they're making a movie of this. ...although SOMETHING inspired me to seek out this book. I remember classmates reading it when I was a kid, and I remember the creepy Gorey illustrations. There wasn't a lot of substance to it, but I loved the creepy imagery, the real childhood fitting-in drama juxtaposed with the magic stuff. Definitely not in my top 10 adventure/magic books for kids, but fun nonetheless. So, I guess I'll be seeing the movie. Salman rushdie-- dense, funny, lyrical. There were many places I laughed out loud. "This is just like Gozer the Gozarian..."
...and then he lost interest in the last third and just kinda halfheartedly completed it. It didn't help that the book is written in Rushdie's usual flashbacky past-tense, so that by the time the action happens, it's already been alluded to five or six times. Anyway, not the best Rushdie, but Rushdie is one of the best authors. 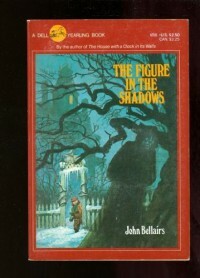 This is my introduction to John Bellairs. I'm going to read his more well-known gothic horror stuff next. There is something ineffably '60s about this book, but in a light and fun way. Some passages are downright funny and remind me of Hitchhiker's guide. Bellairs does a good job of writing emotion. He doesn't explain the mechanics of the world, or how spells work, or even really describe a scene, so much as the associated emotions. 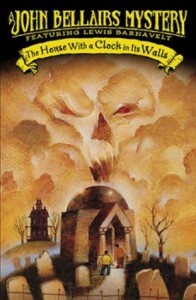 This book was full of fear and dread, and I can see why he is known as a horror writer. Every time night fell, I was dreading what would happen next to our plucky heroes. They tended to stumble through their adventures and come out alright, although they never seemed to know what they were doing until it was over. Anyway, it's an enjoyable read. I can see readers getting frustrated over the lack of detail or consistency in the magical world, but I think it's super fun and would highly recommend it.